There have been many romantic tragedies over the years that often involve one partner never being able to get over the other, or indeed not being able to live without them. Jack and Rose’s love in the ‘Titanic’ has moved millions to tears over the years (why did she let go?! ); Romeo and Juliet showed how even at a young age the couple had such intense feelings, they would do anything to be together; and ‘The Notebook’ portrayed a love that never died as Allie and Noah prove what it is to love until the end. However, there is something that all these stories have in common: they are just that – stories. Although they have taken many on an emotional rollercoaster, the tales are fiction. But some people have real-life stories that prove true love can never die. There are over 2 million couples that find themselves walking down the aisle in the U.S. each year, with more than $72 billion being spent on the ceremonies. Staggeringly between 40 and 50% of these marriages will ultimately end in divorce. 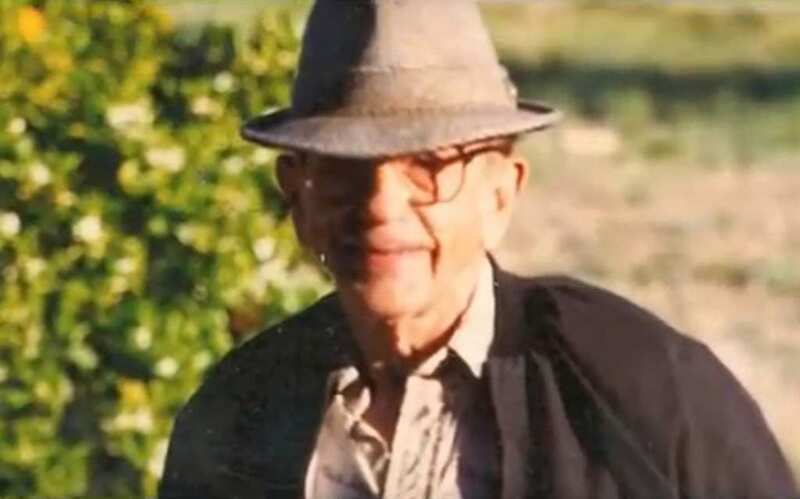 This wasn’t the case for Karam and Kartari Chand from the UK, though, who managed to share nearly a century of their lives married! 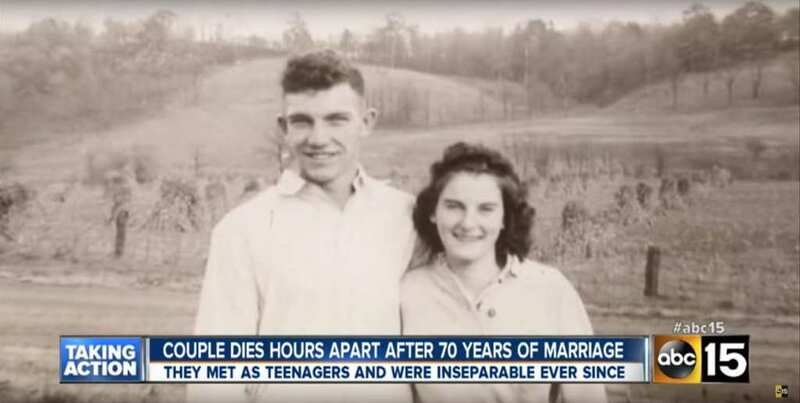 The couple were wed on December 11, 1925, and were married for 90 years, 291 days before they passed away. 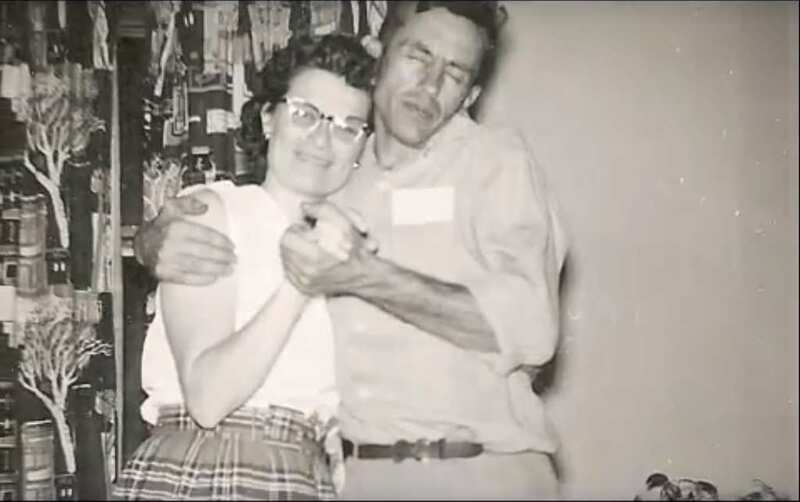 Another couple that proved their relationship was destined to withstand the test of time were Norma and Gordon Yeager. The pair were brought together through fate when they fell head over heels in love with each other. After many romantic gestures and incredible memories, reaching their 72 year wedding anniversary wasn’t a simple task for the pair. However, when you have a partner to enjoy life with, why waste a moment of it? 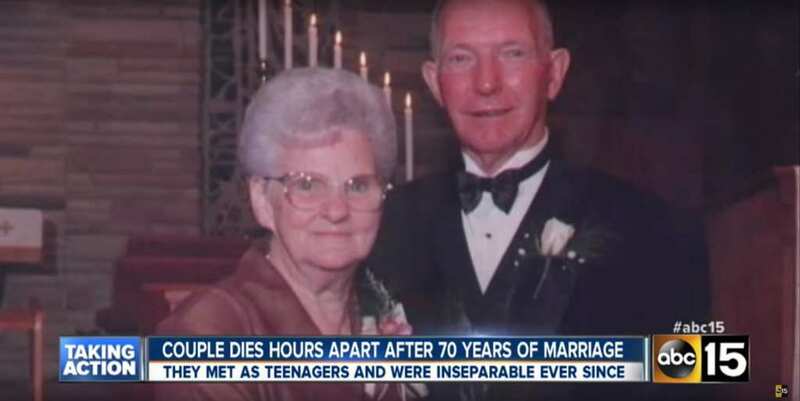 They say you should surround yourself with the people you love which is exactly what this couple did until the very end. Losing a loved one is an impossible challenge that unfortunately most people will experience in their lifetime. Many people feel that they won’t be able to cope without their partner by their side, but Norma and Gordon proved how they physically couldn’t continue without the other there when they hit the headlines in 2014. 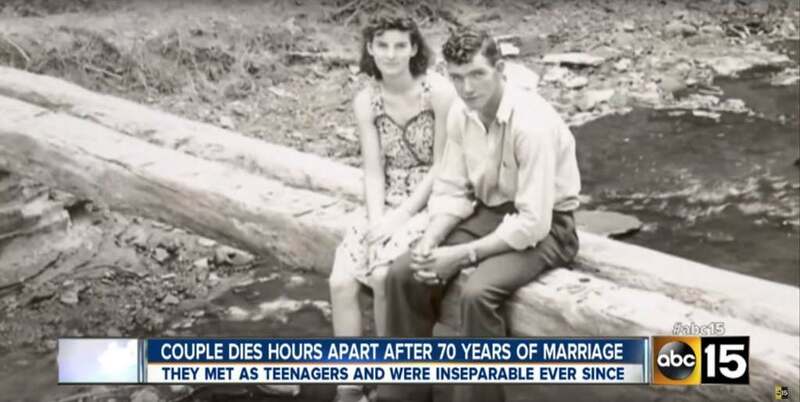 The couple had led an incredible life and found a way to ensure their final moments would be remembered in time forever. 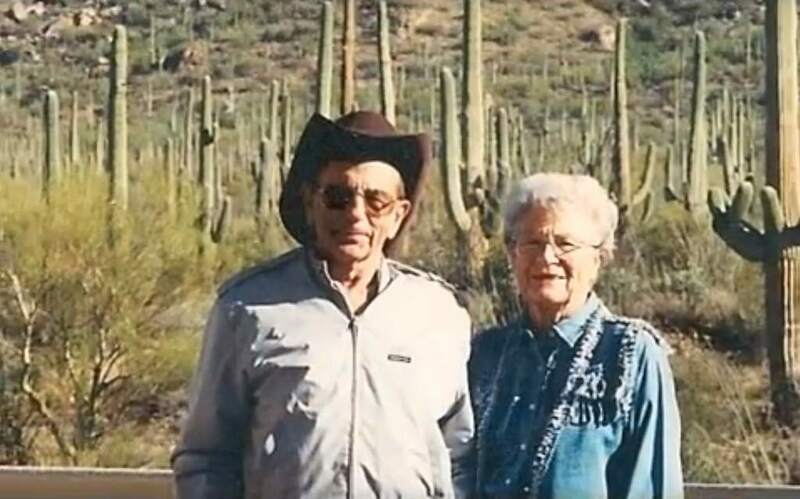 Norma Stock and Gordon Yeager were both born and raised in Iowa until Gordon’s family decided to move to a farm in Minnesota to live out their dreams of an outdoor life. Unfortunately for them all, the Great Depression brought increasing money worries and forced them to move back to Iowa. 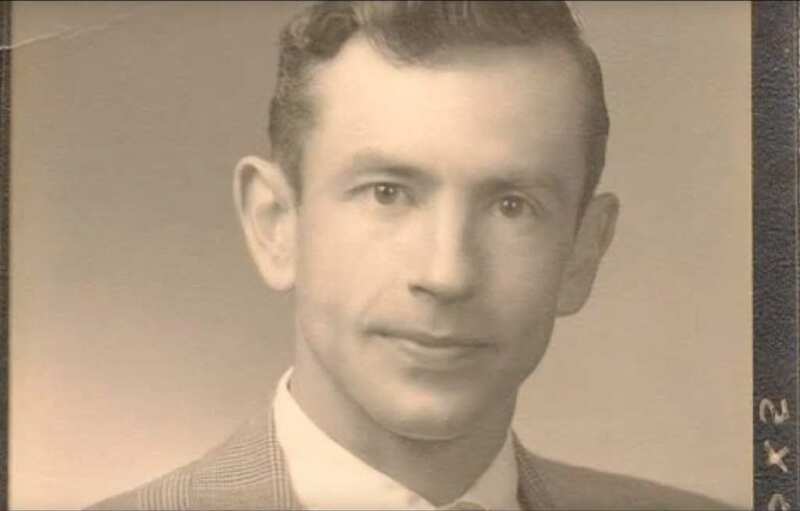 Gordon then began working at a local Chevrolet garage when he was just 16 years old to try and recover some of the lost money for his family. The move back to their hometown wasn’t all bad, especially not for Gordon. Not only was he able to find a new job almost immediately, but it was here that he locked eyes with the woman he knew that he wanted to call his wife. Norma Stock walked into his life and caught his eye immediately. She was still studying at high school when Gordon fell head over heels for her, so he knew he would have to wait to make any advancements. 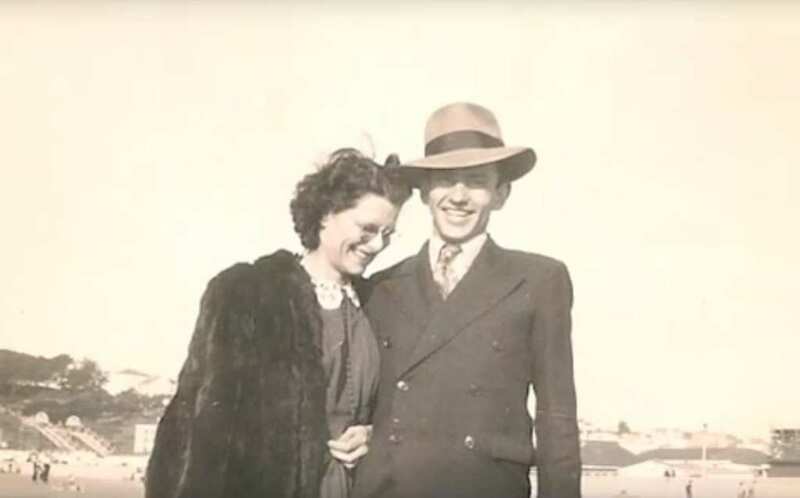 May 26, 1939, was the day Norma said yes to her future husband, Gordon, as he proposed marriage. Gordon popped the question the day his partner graduated from high school; the perfect celebration for the couple. The pair were in Gordon’s sister’s home in State Center, Iowa, at the time they began the rest of their lives. The couple both shared the same views as they believed marriage was the way to happiness, before settling down and starting a family together. Not only did Gordon propose to his beloved the day of her graduation, but the pair were also married the same day. Norma finished her graduation around 10 am that morning. Less than twelve hours later, at 8 pm, the couple were married in the same house Gordon had proposed. According to their children, Gordon had waited at the home for an hour holding the door open for his future wife to ensure he was there to welcome her, using his first months pay to cover the ceremony. The pair were able to share four wonderful children together. 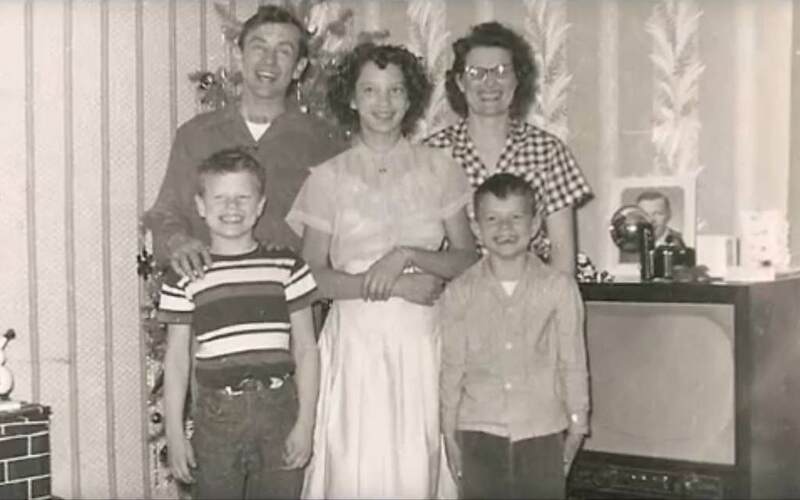 Donna was their oldest daughter born in 1940, followed by their first son Roger three years later in 1943, Gordon Jr. was born during 1946, and finally, their youngest son Dennis was born in 1949. Unfortunately, the family faced a great tragedy early on as the two middle children, Roger and Gordon, both passed away after being involved in car accidents. The family was able to make things work as they adjusted to life with just the four of them. The couple couldn’t bear to be away from each other so managed to get jobs that let them spend every minute of the day by one another’s side. 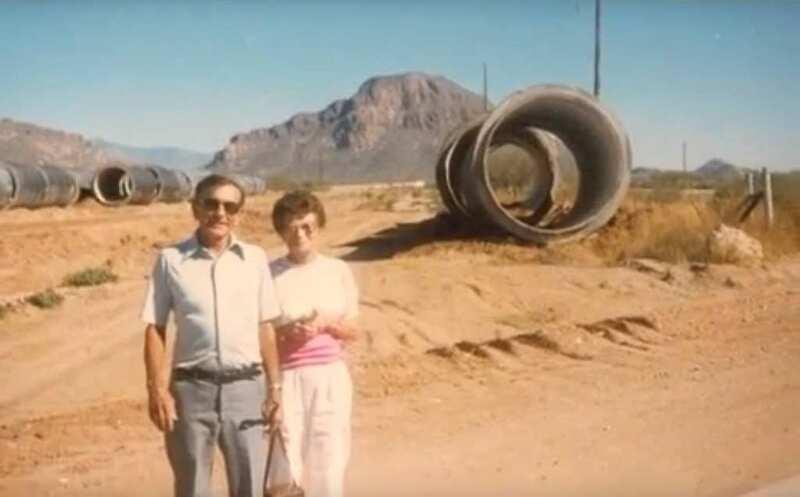 They began by running a local hardware store to provide for the family but worked their way up as they were soon able to take over the garage that Gordon had been working at before they were married. 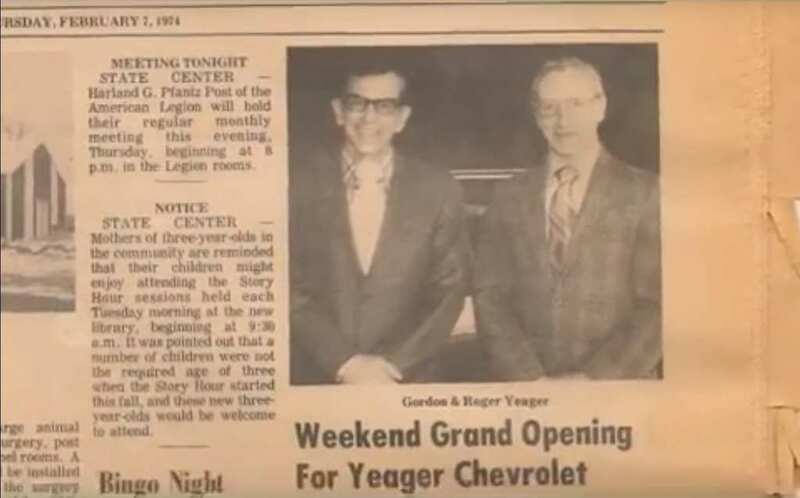 Gordon and his brother, Roger, successfully ran the business for some decades before they both retired when they were 65. The couple loved their career of running the garage together. 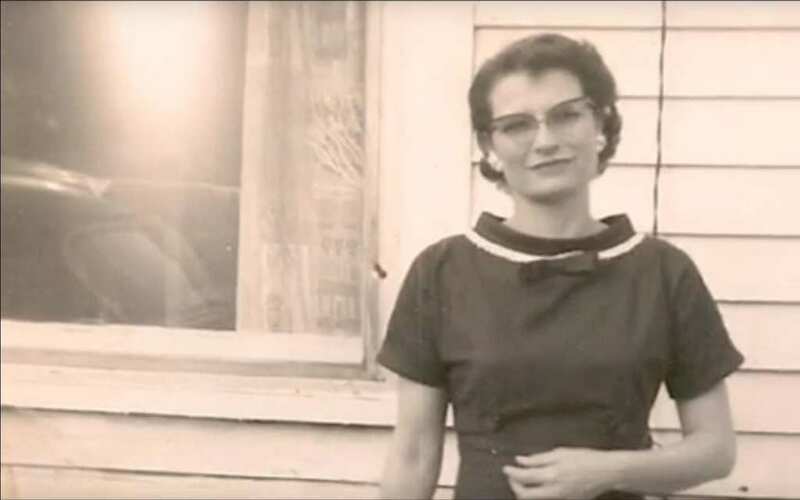 Norma even won an award that Chevrolet handed out for bookkeeping, and her children described how she was such a perfectionist about everything. It wasn’t just Norma that worried either as Dennis and Donna had reported how both their parents would stay up well past 2 am working out a mistake if even one cent was out of place. It was this kind of business management that made the couple so successful in their town. Norma and Gordon were able to save up their money to take their young family away on many vacations over the years. 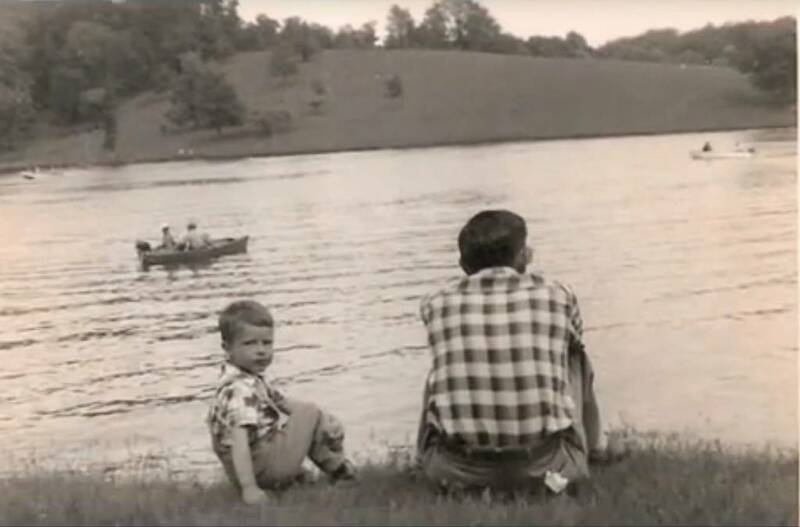 Their youngest son, Dennis, has spoken about how he remembers going on plenty of camping trips around their home state, as well as taking occasional trips to Canada. 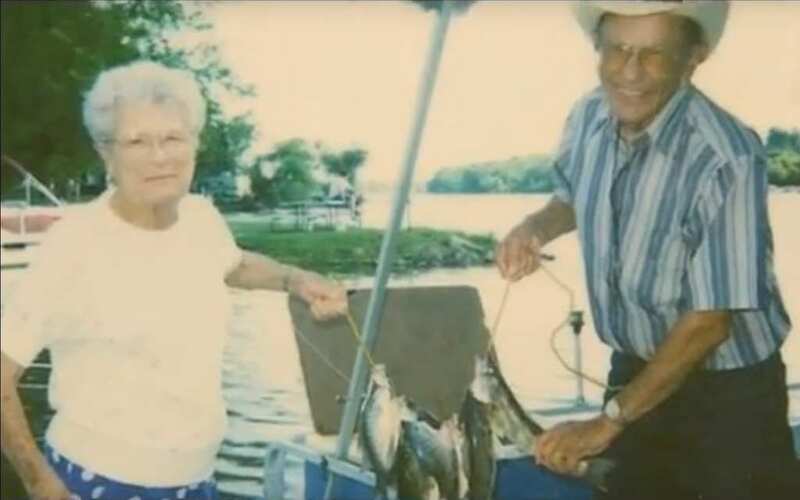 However, Dennis admitted they spent most of their time in Minnesota at Clear Lake where they would enjoy going boating together as well as staying in a cabin as a family. Dennis has also reported on the fond memories he has from growing up with his parents. One of his most memorable moments from his twenties was when he was driving a boat on the lake with his father water skiing behind him. Something happened that made Gordon fall over and the family went into panic mode as he hadn’t resurfaced for a long time. When Gordon finally appeared Norma yelled questioning where he was, to which Gordon replied he needed to find his swimming trunks before he could come up. 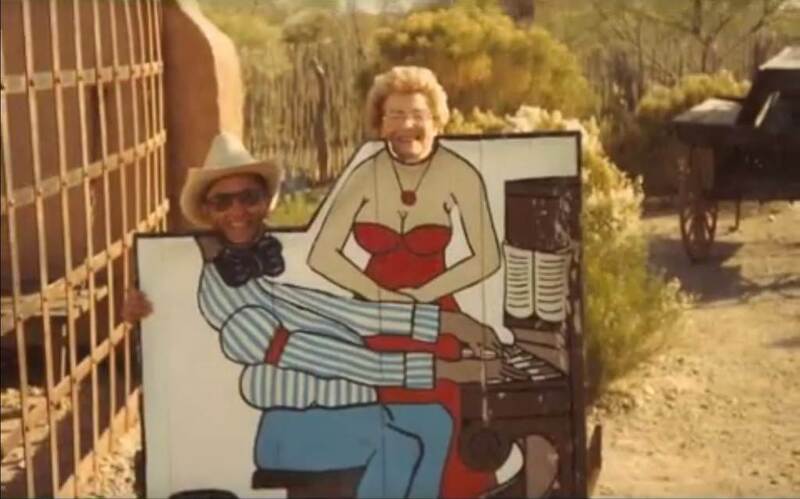 Throughout their relationship, both Norma and Gordon were described as being the total opposite of each other but somehow managed to make all their differences work. Their children have confessed that their parents weren’t perfect as they did have their arguments on occasion. However, they were always able to put their differences behind them and move on. The couple believed that they had to make things work as a marriage lasted forever whether they were getting along or not. 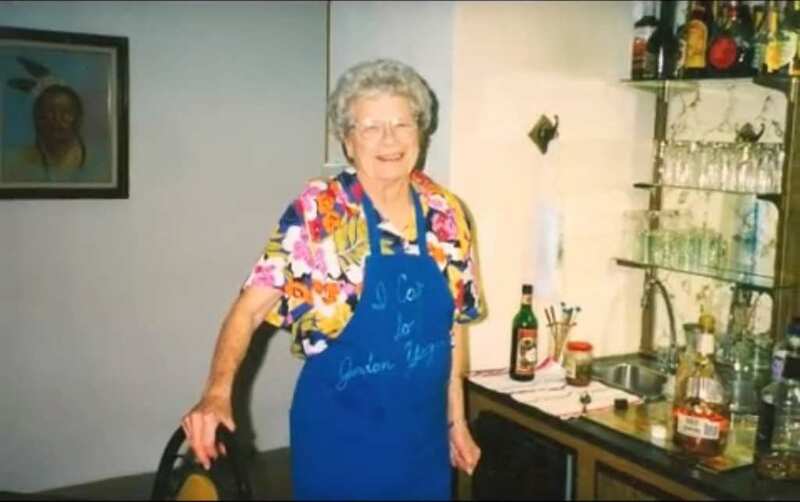 Norma was described as the hostess with the mostest at parties by anyone that knew her. She would ensure that everyone had their drinks topped up as well as doing all the catering for the events while trying to stay out of their attention too much; she much preferred working behind the scenes. Dennis has spoken about how his mother was happiest when she was working hard, as well as ensuring her husband was well looked after as he was socializing. Gordon, however, loved being the center of attention at any event! He would often be the one cracking jokes as well as going around making sure everyone was enjoying themselves. Norma apparently liked staying away from her husband when they were at parties. This isn’t only because he tried to get her to join him on center stage, but also because she admitted she much preferred watching her husband’s charismatic ways work their charm from afar. Even though at parties the couple were typically found apart from each other, they rarely ever left one another’s side throughout the entirety of their marriage. The two never had vacations without the other or worked in separate jobs over the years to make sure they could spend as much time together as possible. For all that their children have said there was no secret to their parent’s marriage, just the fact that they were so in love with each other. Gordon made a promise not only to his wife but to his children as well. 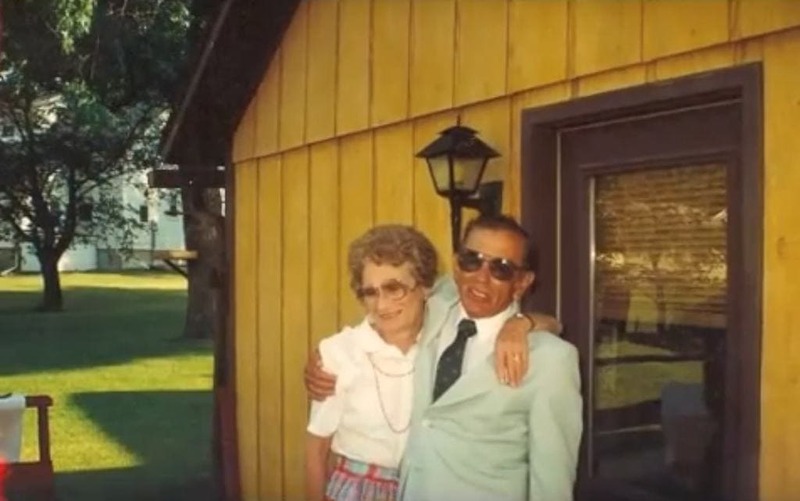 Gordon spoke about how he never intended on anything happening to him as he needed to make sure he was always around to ensure he was able to look after his wife. 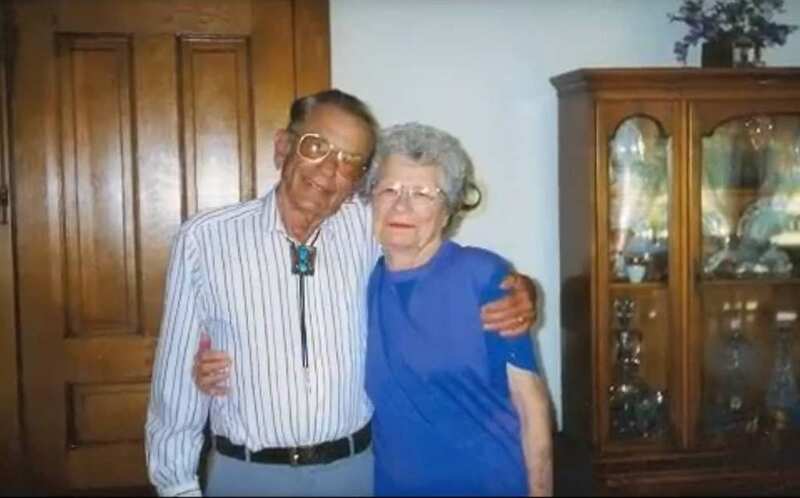 He knew that if he was to go that Norma wouldn’t be able to cope; Norma reciprocated his feelings as she, too, did everything to stay active throughout their life together. In 2009 the couple celebrated their 70th wedding anniversary – something around 0.1% of the American population ever achieves. 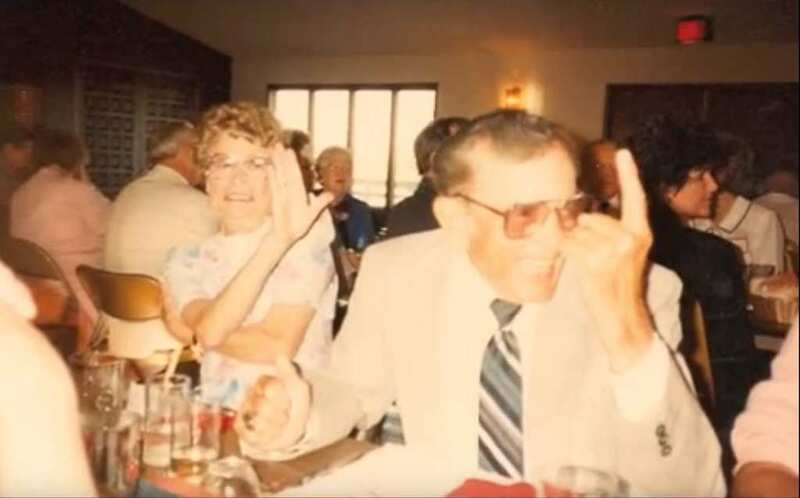 Gordon and Norma threw a party to celebrate seven decades together where they invited their friends and family members to join them. 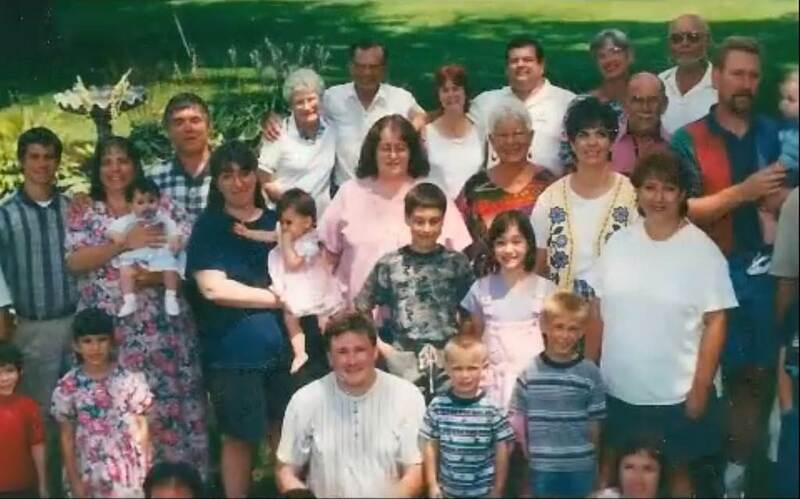 There were plenty in attendance too as the couple had 14 grandchildren, as well as 29 great-grandchildren, and their first great-great-grandchild! The turnout was impressive, and neither of them showed any signs of their age as they enjoyed being surrounded by loved ones. Even though the couple were both in their early 90s, their children have reported how they never let their age affect them. 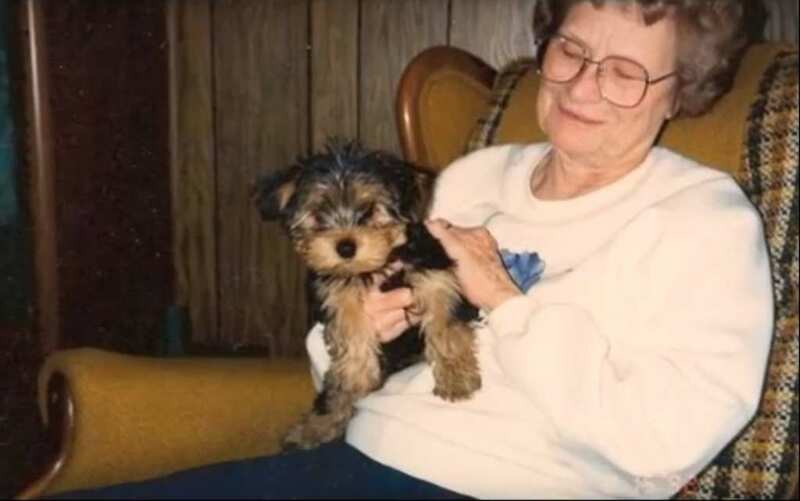 Both Norma and Gordon enjoyed spending plenty of time outside, including walking their Yorkshire Terrier named Radar. They also enjoyed watching sports on the television as well as socializing with their many family members and friends. They were determined not to let anything slow them down, perhaps in a bid to make sure they could always be there for the other. 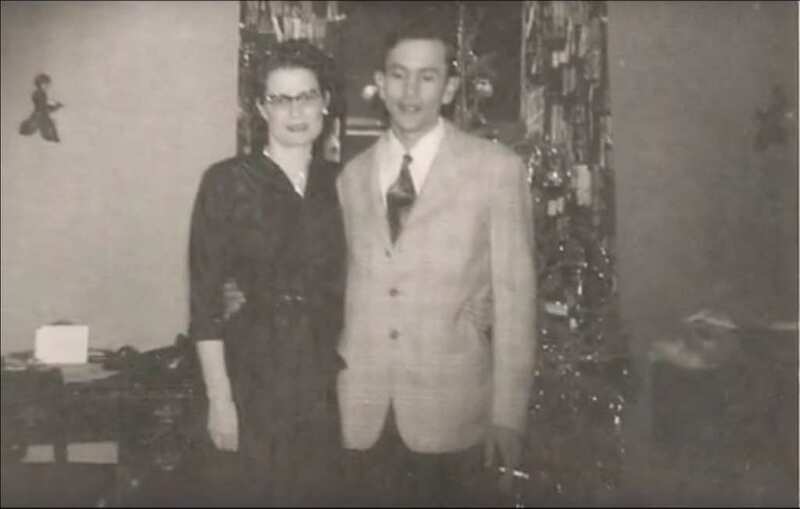 Norma and Gordon had a tradition that had lasted for most of their married life, especially since their children had grown up. The couple would drive to eat breakfast out every single morning as a way to see each new day in. The meal had become a tradition for the pair as they both admitted to enjoying the trip together, but tragically it would be this daily outing that would see disaster strike to the core of the family. Wednesday, October 12, 2011, was the day that everything changed for the Yeager family. Norma and Gordon left their home to get their usual breakfast. Little did they know this was the last time they would be driving away from their house. Their youngest son, Dennis, rushed to the hospital to discover the tragedy that had occurred. Gordon had been driving the couple’s car when he pulled out into oncoming traffic by mistake at an intersection not far from their home. The pair were rushed straight to the intensive care unit where the nurses learned of their incredible relationship. They decided that Gordon and Norma couldn’t be separated so put them in the same room next to each other. Their beds were pushed together so the couple could lean over and hold hands. His left hand, her right hand. The closeness of the two was enough to upset everyone in the room, including the medical staff who had only just met them. Unfortunately, the couple were unresponsive to the treatment at the hospital despite the doctors best efforts. At 94, Gordon sadly passed away at 3.38pm while still holding onto Norma’s hand. Their entire family was around them as they saw their beloved relative slip away. 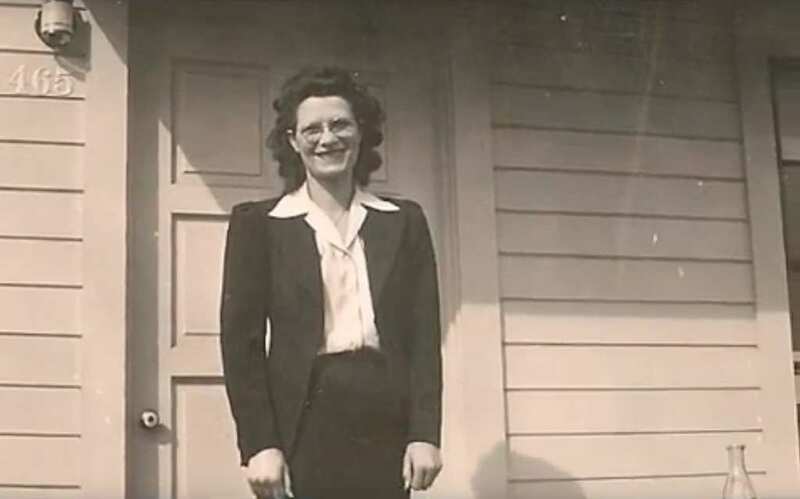 The family knew that neither of the pair had any intention of continuing without the other, so were bracing themselves for the fact that Norma could soon, too, be joining her husband on the other side. Incredibly, even after Gordon stopped breathing, his heart rate monitor continued to beep as if he was still with them. Their son, Dennis, questioned what was going on. The nurses checked Gordon’s pulse and confirmed he had indeed gone but had an amazing reason for the heartbeat. As the couple were holding hands, Norma’s heartbeat was going through his body and into his machine. It was as if Norma was keeping her husband alive until she was ready to go too. Tragically just over one hour later at 4.48pm, 90-year-old Norma took her final breath and joined her husband. Their children had known that this would always be the case, but everyone was amazed that the couple really had been together until the end. 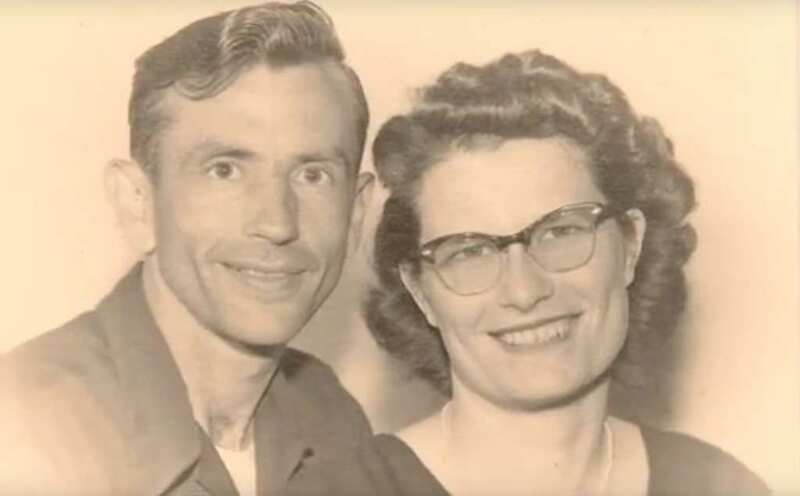 Their family has spoken about how blessed they were to know that Norma and Gordon were able to get what they wanted after promising for so many years that they couldn’t live without the other. The family really did believe in fate the day Gordon and Norma passed away. With both of them being so healthy it would have been devastating for them to have to watch one continue on alone. The day of their death they even spoke about how they believed that after Gordon had passed, he was waiting on the other side for his wife. Always the gentleman, they believe he was holding the gate for her in anticipation for her arrival. The family quickly got together in order to decide exactly how they would organize the funeral. It wasn’t long before they spoke to the funeral home and explained the extraordinary circumstances of what had happened. 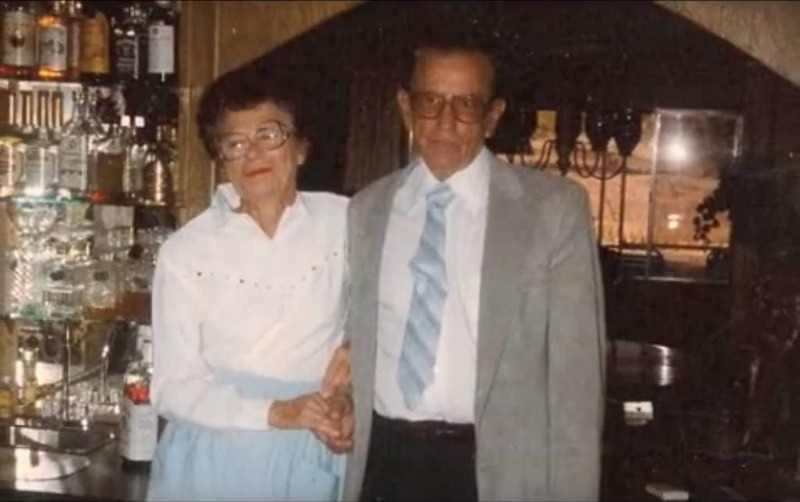 It was here that they decided what they wanted and came up with the perfect way to eternalize Norma and Gordon’s love for one another in a fitting style that they knew the couple would have loved. The couple’s funeral was held less than a week later on October 18, 2011. 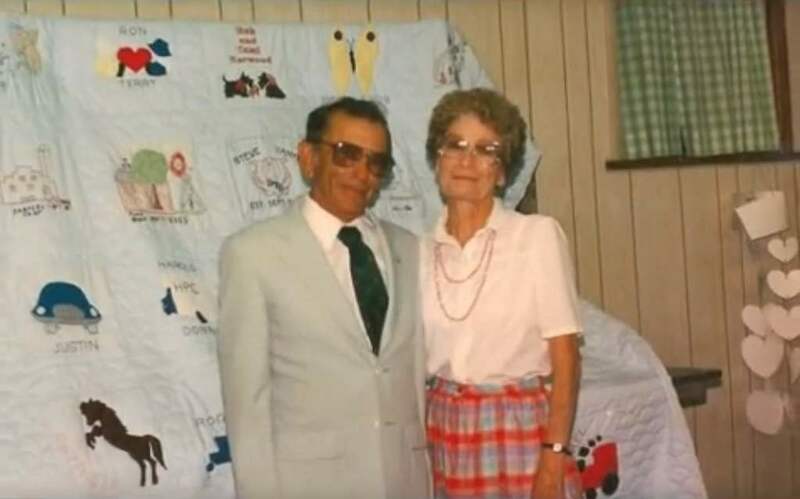 Gordon and Norma were given a final chance to be together as they shared a casket in which they were able to hold hands one last time as their family said goodbye to them. They were then cremated at the same time with their ashes being mixed together. Their children wanted to make sure that their parents would be together forever. Both their remaining children have spoken about how incredible their parent’s relationship was. 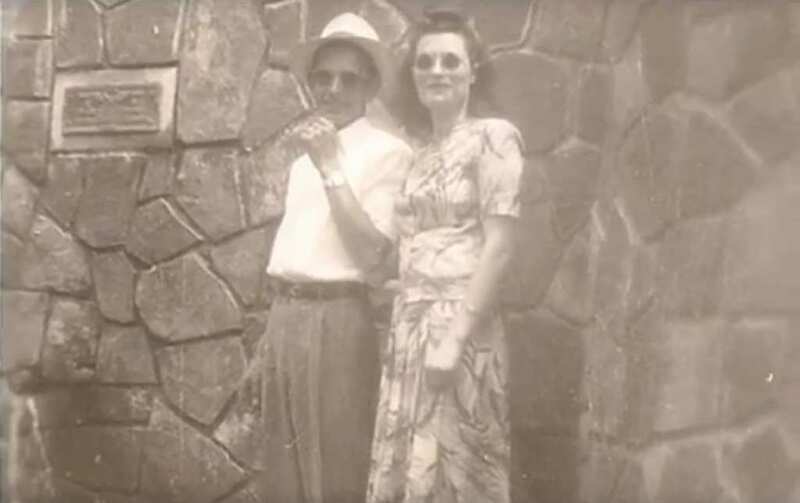 Norma and Gordon were married for 72 years before their untimely deaths. 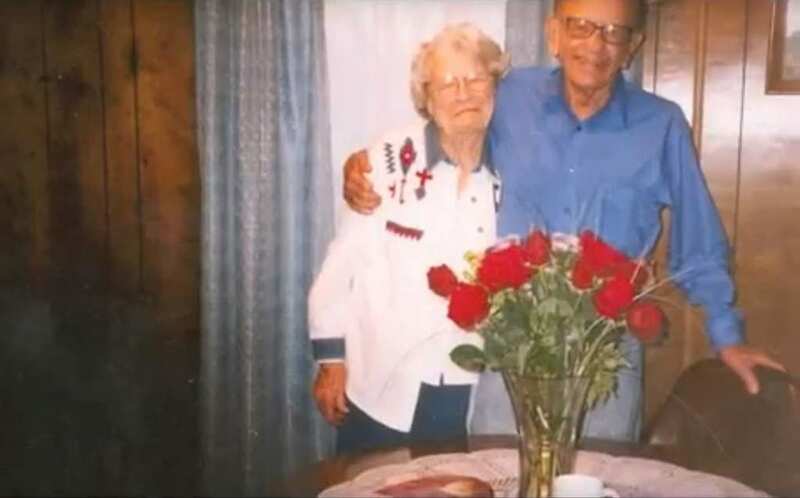 However, their marriage fell 14 years short of the longest marriage in U.S. history that was between Herbert and Zelmyra Fisher who were married for 86 years, 290 days. Even though they didn’t hold the longest relationship, they achieved what most couples have never been able to. It seems as though Gordon really did find his platinum girl. Tragically a few years after the incident with Gordon and Norma, disaster struck another elderly couple. Kenneth and Helen Felumlee had been married since February 20, 1923, where they were married in secret as the legal age in Ohio was 21. The couple couldn’t wait another day until they were officially husband and wife, so they lied about Kenneth’s age as he was just 20 years old and eloped two days before his 21st birthday. Their families didn’t know what they had done until they returned home. 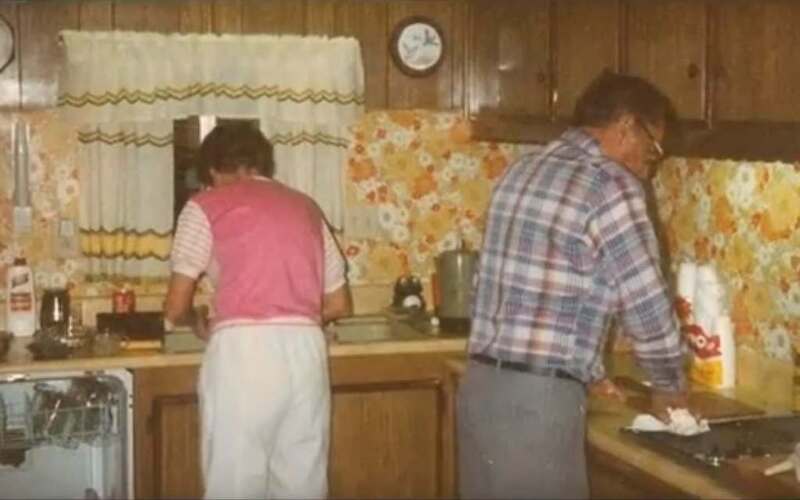 The two were so thankful for each other over the course of their relationship that they made it a tradition to hold hands every morning at breakfast so they could pray about how grateful they were for one another. One vacation they decided to go on a cruise ship but were left with a conundrum when they were given a room with bunk beds. Helen and Kenneth didn’t want to be separated, so both jumped into the bottom bunk meaning they didn’t have to sleep apart. 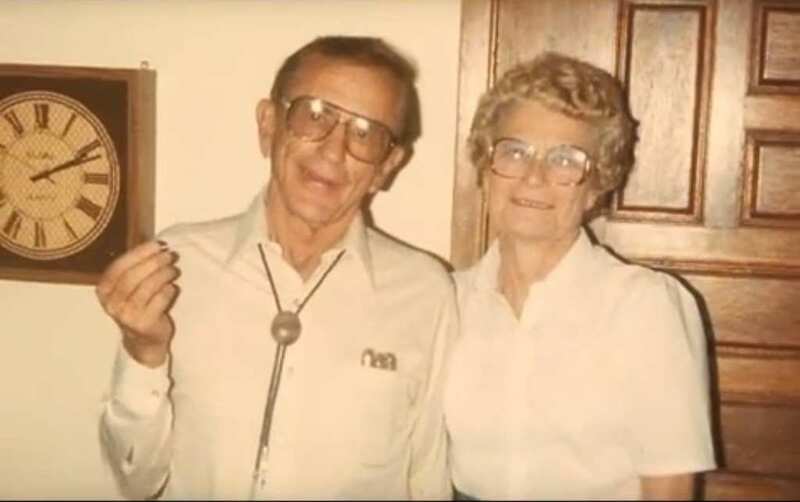 The couple shared eight children together who had all spoken that when one of their parents passed away it was likely the other would shortly be joining them. In 2014 that exact tragedy struck as at 92 years old Helen passed away. Just 15 and a half hours later her 91-year-old husband, Kenneth, joined her as he too passed on. Their children spoke that as soon as their mother had gone their father began to deteriorate rapidly as he couldn’t cope without her by his side. Are people actually smarter than they were a century ago?